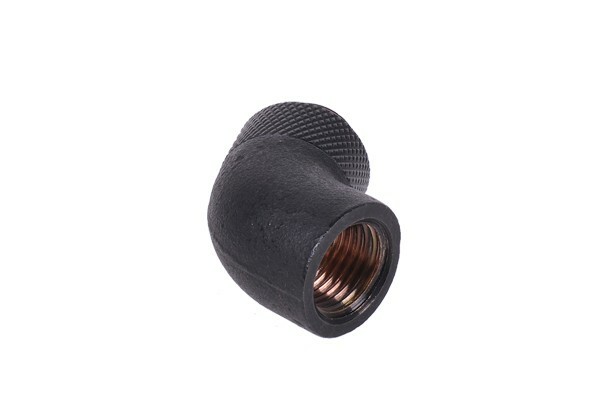 60° Angled adaptor revolvable G1/4" inner thread to outer thread, round, revolvable. Everybody knows the problem: The hose twists, the fittings don't quite fit... what to do? This is the solution! A bearing at the thread gives maximum versatility and the tubing can be installed just as you like! Just connect the fitting needed and it can easily be revolved to fit! The best thing about this adaptor is that it was constructed without any conjunctions which makes it truly High-flow capable!